Robert Saleh (SAH-lah) is in his 14th NFL season and second as the 49ers defensive coordinator. In 2017, Saleh led a 49ers defensive unit that allowed 5.28 yards per play, which was a 0.62 yards per play improvement from 2016 and the third-largest improvement in the NFL from 2016-17 (Cle. - 0.76 yards per play; NYJ - 0.72 yards per play). The defense also finished the season holding their opponents under 100 yards rushing seven times. From Weeks 12-16, the 49ers streak of holding each of the five opponents under 100 yards rushing was tied for the longest streak in the NFL over that span (Arizona). It also marked the first time the 49ers held five straight opponents to under 100 yards rushing since Weeks 11-15 of the 2012 season. The 49ers defense was among the league leaders at getting into the opponent’s backfield on running plays, finishing ranked tied for fifth in the NFL by forcing 53 rushes for negative yardage. Saleh’s defense continued to improve throughout the season. Over the final eight weeks of the season, San Francisco ranked second in the NFL in rushing yards allowed (640), tied for fourth in yards per carry allowed (3.62), fifth in rushing yards allowed per game (91.4), seventh in net yards allowed per game (314.4) and tied for eight in rushing touchdowns allowed (four). In 2016, Saleh’s linebackers helped the Jacksonville defense rank fifth in passing yards allowed (215.3) and sixth in opponent rushing average (3.82). Team captain LB Paul Posluzny started all 16 games at MLB and led the team in tackles for the second consecutive season. According to Jaguars team statistics, LB Telvin Smith registered 118 tackles while starting all 16 games at outside linebacker for the first time in his career. Smith’s 350 career tackles are the most ever by a Jaguars player in his first three NFL seasons. In 2015, the Jaguars defense allowed 3.68 yards per attempt, the fifth lowest rushing average allowed in the NFL. Posluszny led the Jaguars and ranked fifth in the league with 133 tackles, according to game book statistics, while tying with Smith for the team lead with 13 tackles for loss. According to Jaguars team statistics, Smith registered a career high 128 tackles in 2015. Under Saleh’s guidance, Smith stepped in the starting lineup and ranked third among all rookies with 99 tackles, according to game book statistics, in 2014. Smith led the team with two fumble recoveries while ranking second with nine tackles for loss. After a season-ending injury to Posluszny midway through the year, LB J.T. Thomas stepped in and set a career high in tackles along with two interceptions, two tackles for loss and five passes defensed. Prior to Jacksonville, Saleh spent three seasons (2011-13) as a defensive quality control coach for the Seattle Seahawks. During his three seasons with the Seahawks, he was responsible for assisting the defensive staff with day-to-day duties with a focus on the linebackers. Working under linebackers coach Ken Norton, Jr., Saleh aided in the development of LB K.J. Wright, LB Bobby Wagner and Super Bowl XLVIII MVP Malcolm Smith. Before joining the Seahawks, Saleh spent six seasons with the Houston Texans, serving as a coaching intern (2005), defensive assistant (2006-08) and assistant linebackers coach (2009-10). In Houston, Saleh oversaw the growth of the Texans linebackers, including AP Defensive Rookie of the Year performances by DeMeco Ryans (2006) and Brian Cushing (2009). In 2009, the Pro Bowl duo of Ryans and Cushing were the only teammates to both rank among the league’s top 10 tacklers, according to game book statistics. Saleh joined the Texans after three seasons working in the collegiate ranks.  He began his career as an offensive assistant/tight ends (2002) and defensive assistant/defensive line (2003) at Michigan State before spending one season (2004) as a defensive assistant/defensive line at Central Michigan and a brief stint (2005) at Georgia as a defensive assistant/linebackers coach. A native of Dearborn, MI, Saleh attended Northern Michigan University where he started at tight end for four years. Saleh and his wife, Sanaa, have five children: four sons, Adam, Zane, Michael and Sam, and one daughter, Mila.